Do you shoot video? 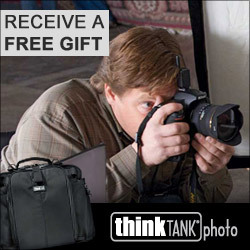 If not, you probably should, I mean you have a powerful camera that likely does a superb job at video. Pretty much everything does excellent FullHD and some cameras are now doing very nice UHD 4K. And by cameras, I mean your still camera, not a dedicated video camera. Of course, if you have a dedicated video camera, you already get it, but you'll still like the Video Assist 4K, so stay with me. It's too hard? Nope, everyone can shoot video on a smartphone, and video on a camera is no harder really. A bigger sensor and a quality lens with actual focusing and depth of field might mean you actually have to focus, but really that's not the issue is it? Oh, I get it. You cannot really see the small LCD on the back of your camera to see what's sharp and what's not. Oh, you cannot see good exposure and clipping indicators until its too late. Yeah I get that. Oh, you absolutely despise that limited recording duration that kicks in regardless of card size and doesn't allow a clip length of more than 29:59. I see that could be an issue in an interview or documentary type of thing for sure. Right, you don't care for the built in microphones on your camera, syncing an external recorder sounds like a lot of work and when you get good microphones, you need a special adapter to use them with your camera anyway, and half the makers completely missed the point about having a headphone jack on your camera. Yup, you're right again. So let's change the game. How about one device that does all the things that I talked about, that uses regular SDXC cards, and with UHS II cards can even record UHD 4K at really nice quality, not some over compressed, frame crushed mess at really low bandwidth. Took me a while to get here but that is what the Blackmagic Video Assist is all about. In this review, I am looking at the 4K version with the big bright 7" display. The Video Assist 4K is a very cool device. It incorporates a very bright 7" touchscreen display in a robust metal housing. It features HDMI in and out as well as proper SDI inputs and outputs as well, and all without the need for a snake cable. The unit is powered by a pair of pretty generic LP-E6 batteries, or AC via a supplied wall wart if you prefer that route. The unit has two identical SD card slots and is built to leverage the speed and throughput of the latest UHS-II cards. In fact, you must use UHS-II cards for 4K because this box doesn't compromise. The documentation is decent, but I have to confess I was about six hours into using the device before I even downloaded the manual. The touchscreen is that intuitive. The text and the icons are legible and the screen layout makes a lot of sense. A recent firmware update has added Waveform, Parade and Vectorscope to the default Histogram. The scopes are set as overlays on the display and you can control their opacity. It took a bit to get used to, but I really like it now. The device also adds tools the pro cameras would have built in such as Zebras to watch your highlights and Focus Peaking to fine tune focusing if doing so manually. For most of my testing I was using a Canon 7D Mark II that has Canon's superb dual pixel AF so the only time I went manual was for some really tight in macro work. The high resolution of the display puts the camera LCD to shame, as it should. I had limited 4K options available to me as none of Canon's products can push 4K out the HDMI port even if they can shoot it, and most cannot even push clean HDMI without a bunch of overlaid crap. Fortunately there are other cameras with a lot more intelligence at that level. 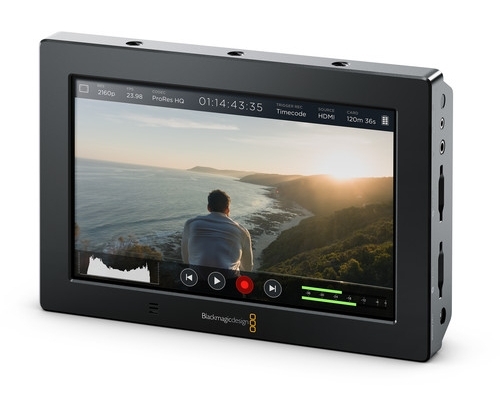 I could use this with any of the Blackmagic Design 4K cameras, but it also works great with Sony and Lumix products that capture very nice 4K. I also very much liked the ability to record audio directly into the Video Assist 4K so I did not have to sync audio and video after the fact. For space reasons, the XLR inputs (two of them) use the mini-XLR connector but I have downsizing converters in my kit and I was recording audio in no time. The meters are very easy to see and I give Blackmagic Design some props for putting very decent preamps in this device. They are far superior to the high impedance audio ins on most ILC cameras. After I shot some tests, I simply popped the card out (and yes you can do that while the unit is live, just switch the in stream to target the other card) and put it in the card reader. No jiggery pokery required, the files are directly readable by the video editor of your choice, no nonsense, no conversion, they just work. Did I mention that the files are10 Bit 4:2:2 in a variety of ProRes or DNxHD or DNxHR? You won't find that in the average ILC and that means that you have more colour to work with. Colour that you can really maximize in DaVinci Resolve. The files are of course usable in any quality video editor but for colour grading, it will pay you to look at Resolve. While the Video Assist 4K is designed as a complete display recorder solution, it can also be used for stills. I had to do an article on low and high key photography so since the unit was attached to the camera, I used it to preview with full exposure simulation including exposure and depth of field, the shots used to illustrate the article. I have to tell you that it's a real treat to see the images in real time on a larger display, and one that you can really zoom in on. I understand that this use is not a primary design point, but I liked having the flexibility. It's a very well built device with a clean and intuitive interface. It's also compact enough and tough enough to go in your bag and all you will need to add are some LP-E6 batteries and the HDMI cable that connects to your camera. Very hard to beat for high quality UHD 4K. I'm going to recommend the 4K version for more future proofing and at an MSRP of $895 USD it's a darn good value.